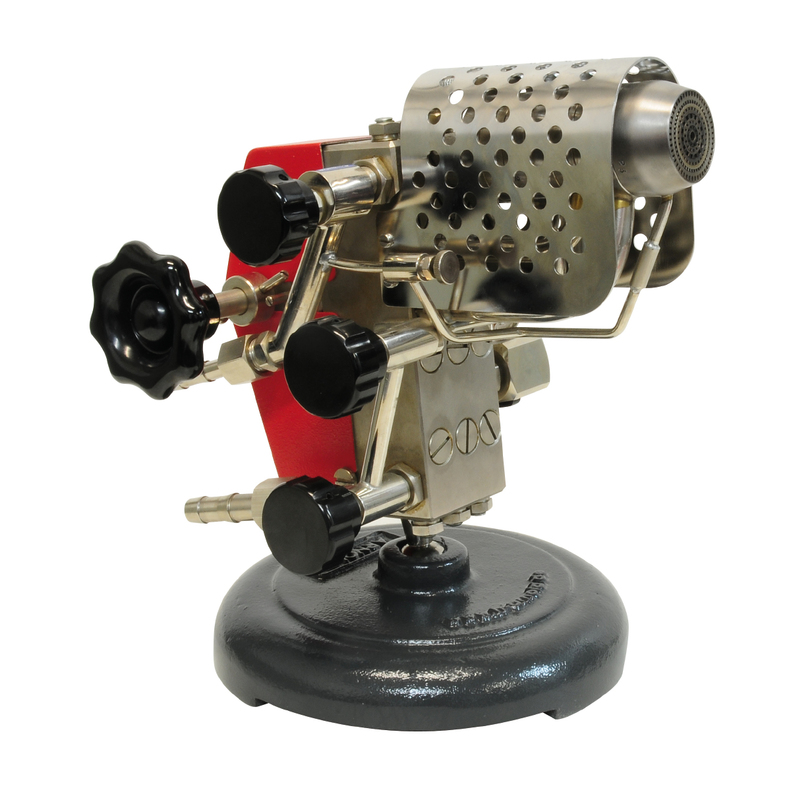 Noiseless bench burner, for gas and oxygen, burners for natural gas and propane with special flame stabilization system allowing to operate the burner even with a surplus of air and thus with a cooler flame - mounted on solid cast iron foot with ball joint. The optimum burners for processing borosilicate glass, in the execution for hydrogen and oxygen (WS) for processing quartz glass. Burners are also available for use with Natural gas or Hydrogen. Contact us for more details.